The LG G7 ThinQ is the newest LG flagship phone, its most powerful and most refined yet in 2018. And while it has a very weird name, there is a lot to like about the new G7: its stand-out dual camera setup with a super wide-angle lens, its dedicated Google Assistant button and its refined interface, all these features make the phone different from the competition and different in a good way. But when it comes to buying the LG G7 ThinQ, you should know a few things: first, the phone has a full retail price of $750 at Verizon Wireless and T-Mobile, but quite strangely, Sprint is asking a whopping $792. That's a full $42 on top of the price at the other carriers and no, there is no logical explanation to this. If you look at monthly payments, here is how this breaks down: on Verizon, you pay $31.25 a month for 24 months, then on T-Mobile you put $30 down and pay $30 a month for 24 months, and then finally, on Sprint you pay $33 a month for 18 months, and then you choose whether you want to return the phone or pay for six more months and own it. Still, there are some good deals for the new LG G7 ThinQ: most carriers are running a buy-one-get-one-free (BOGO) deals for the new phone, but read the fine print as sometimes you are required to open more lines and sometimes there are catches. 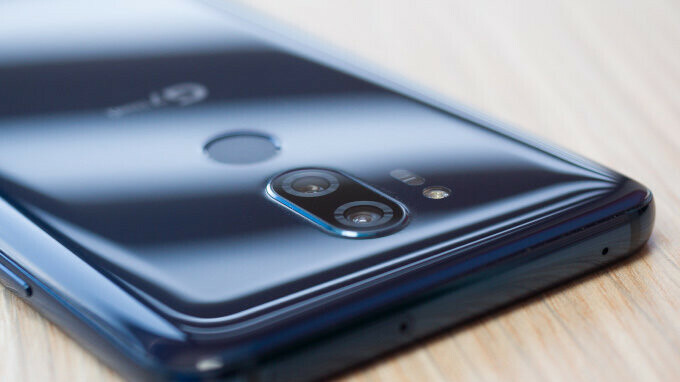 Pre-orders for the LG G7 ThinQ have already begun at Verizon Wireless, while Sprint and T-Mobile open pre-orders today, on May 25th. The new G7 is currently not available on AT&T. The $750 price is a big joke, the $800 is not even funny anymore...it's kind of sad how delusional LG is.